Published as the worst dress ever, the Swan dress worn in 2001 by Björk. I think this dress is enchanting. Designed by Macedonian designer Marjan Pejoski. 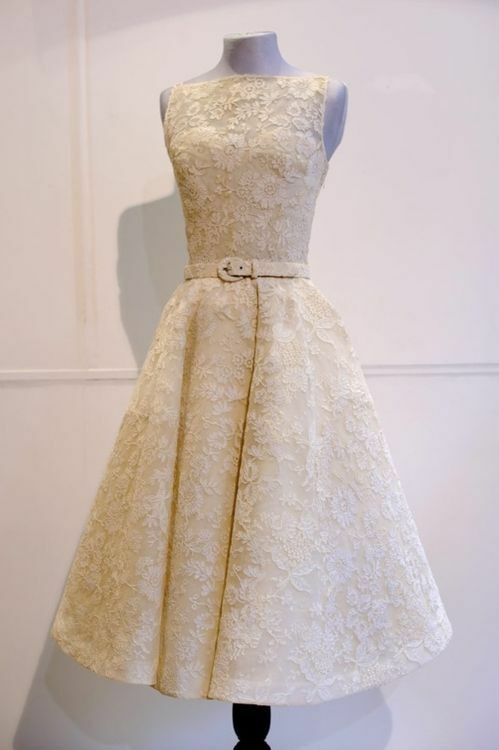 The dress worn by Audrey Hepburn in 1954, designed by Givenchy. Backless Guy Laroche dress worn by Hilary Swank in 2005. Michelle Williams wore this pearl embellished Chanel dress for the Oscars 2011. Oscar de la Renta designed this dress. Amy Adams wore this to the 2013 Oscars. 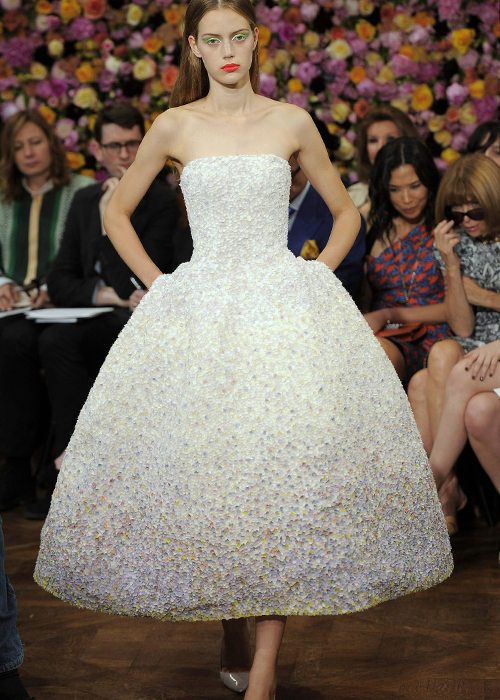 A Dior Raf Simons dress for Jennifer Lawrence for the 2013 Oscars. 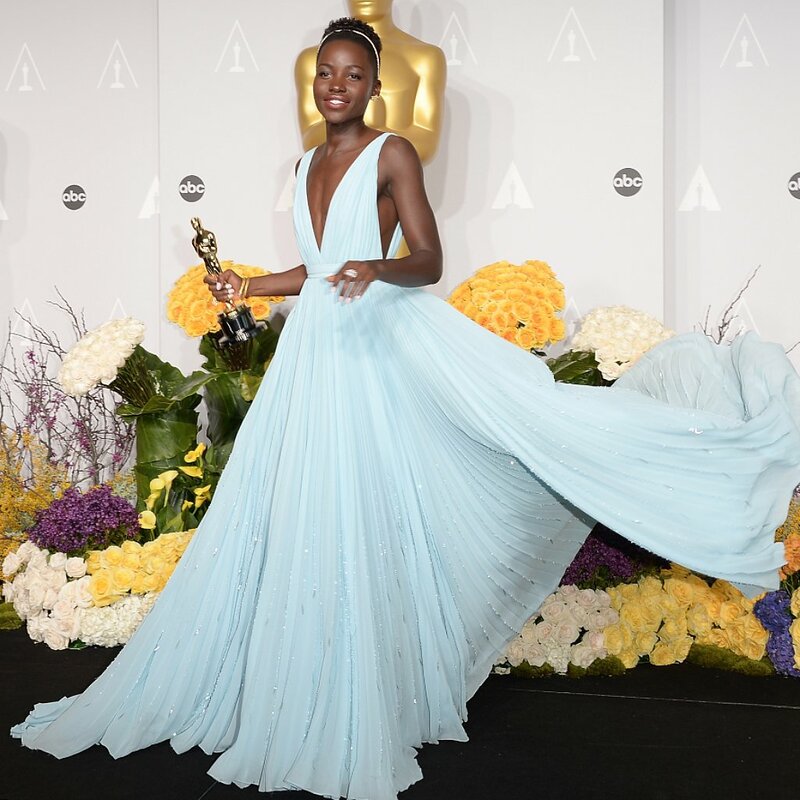 A light blue dress designed by Prada for the 2014 Oscars, worn by Lupita Nyongo. A dress designed by Jan Taminiau for the Autumn/Winter collection 2015. 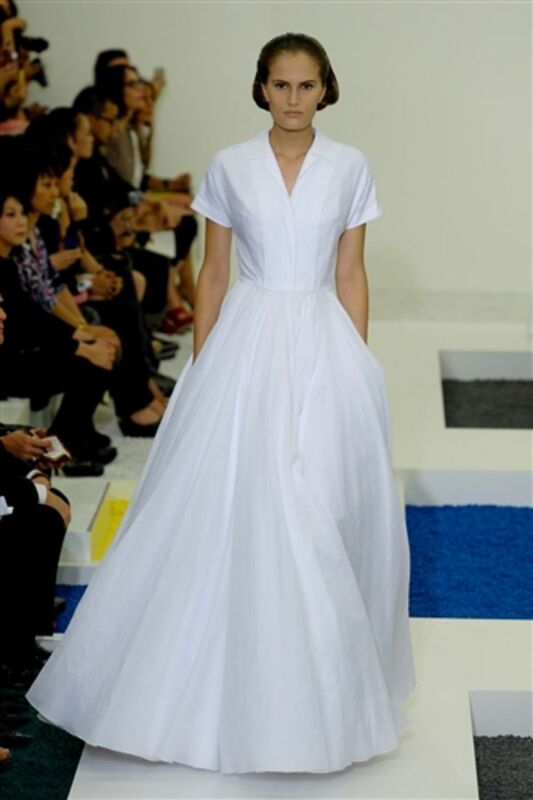 Dior Raf Simons strapless white organza dress embroidered with chiffon, Fall 2012. 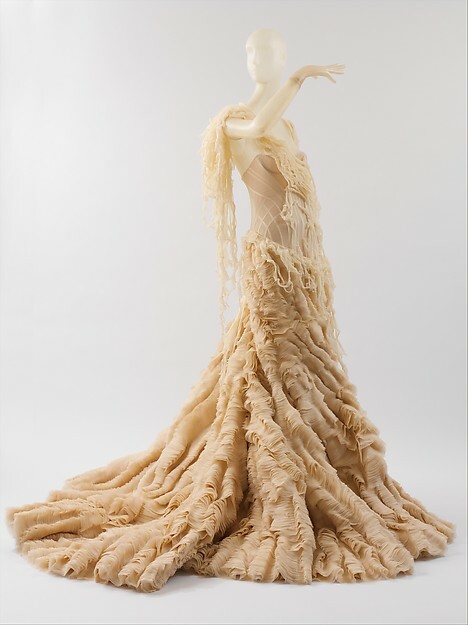 Alexander McQueen designed this silk dress for Spring/Summer 2003. Raf Simons designed this wedding shirt for Jil Sander in Spring 2012.